One of our earliest members, Josephus Steiner, was a figure of great interest in the Waco area. He was born September 17, 1823 in Maryland. He got his Bachelors Degree at Kenyon College in Ohio and then attended medical school in Pennsylvania. Shortly thereafter, Steiner enlisted in the U.S. Army and was made Assistant Surgeon early in 1842. During the Mexican-American War, he came to Texas with his military outfit and afterwards was stationed at Fort Graham west of present day Hillsboro. 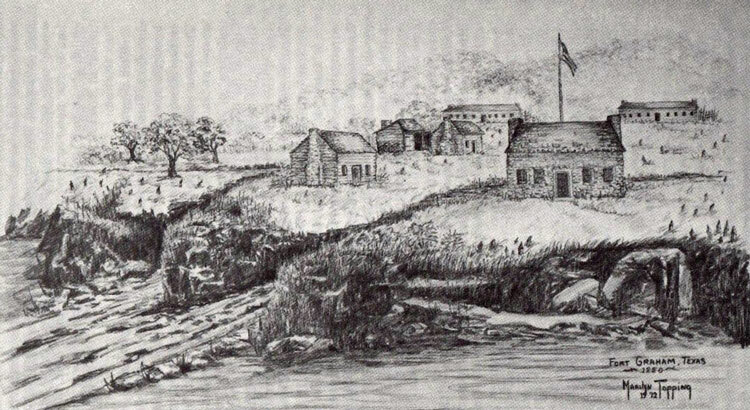 After arriving at Fort Graham, Steiner led efforts through his connections in the military and in masonry to have Hill County established. His efforts were successful and he was the first doctor to open a practice there. Shortly thereafter and while still at Fort Graham, Steiner stuck himself in the history books for another reason. Fort Graham was located west of Hillsboro where Lake Whitney is today. 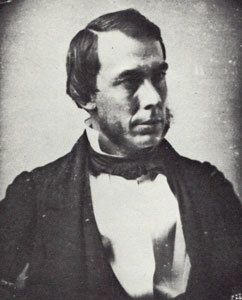 Late in 1853, Steiner’s Commanding Officer was West Point graduate Ripley Arnold, the founder of Fort Worth. Despite the fact that both were Masons, Arnold and Stiner despised one another and it seems their dispute had gone on long enough that their friends could no longer recall the initial problem. Whatever it was, things came to head that fall when Steiner angered Arnold by filing a report suggesting that Arnold had illegally benefited by selling some horses owned by the Army. Arnold responded by issuing an arrest warrant for Steiner while the surgeon was supposedly drunk in public. He and his lieutenant, Richard Anderson, attempted to make the arrest. The result was a shootout begun with Arnold firing a shot off at Steiner and by the end, Major Arnold laid dead in the dirt with three bullets in him. Steiner was unharmed but was court-martialed and was a no-show at his hearing in Austin. Lt. Anderson had been prepared as a witness but when Steiner failed to appear, Anderson was given the task of finding Steiner and bringing him to justice. This began a series of arrests during which Anderson located and arrested Steiner several times but returned to Austin empty-handed for various reasons. First, the local sheriff convinced Anderson to turn Steiner loose on account of jurisdiction. When Anderson returned to Austin, he was told that he had been fooled so he went back again. In the arrests that followed, local settlers ganged up on Anderson forcing him to release the doctor. The last time Anderson attempted an arrest, a group of Hill County and Waco men(believed to have been members of Waco Masonic Lodge) heard that Anderson arrested Steiner and was heading to Austin. The group set a trap in Waco and when Anderson came through escorting Steiner, they jumped upon him and once again, Anderson was forced to release the doctor. Finally, it was agreed that a civilian trial would be held in Waco since a stalemate had clearly been reached in the efforts to court martial Steiner in Austin. As the trial began, several Fort Graham witnesses testified that Major Arnold had made very clear threats against the life of Dr. Steiner in response to Steiner’s claims that Arnold had defrauded the government out of its horses. Further evidence provided by Steiner’s attorneys substantiated his claims about the horse theft. Due to this and also probably because the people in the jury were sympathetic to Steiner who had become something of a Waco hero, Steiner was found not guilty. The people in attendance at the trial leaped out of their seats, screamed for joy, and hoisted Steiner up on their shoulders before carrying him out of the courthouse in triumph. Steiner’s convincing attorney in the trial was also a member of Waco 92, future Governor Richard Coke. On May 9, 1856, Steiner was formally discharged from the Army and that long chapter of his life was over. In 1859, Steiner, George Erath(our charter member), Richard Coke, and John Henry Brown were named Indian Commissioners. In this capacity, they served as liaisons between the state of Texas and area native Americans. Often times, they would advocate on behalf of natives with the state government. Brother Steiner was head of the State Lunatic Asylum in Austin from 1861 to 1865. 92’s Dr. Wallace later served in the same role. After the end of the Civil War, Steiner relocated to Madison, Wisconsin and lived there for several years before he died while in Georgia in 1873. Twenty years later, his remains were relocated from Georgia to Oakwood Cemetery in Waco. A town near Whitney was named Steiner after Bro. Steiner and so was Steiner Valley Park at Lake Whitney. The towns of Meridian and Hillsboro were both built on land donated for the purpose by Steiner and his brother. Steiner’s son, Dr. Ralph Steiner, was a Consulate to Germany, Texas State Health Officer, and was on the Board of Regents at UT in Austin. Ralph Steiner is remembered for popularizing the theory that sharing drinking cups could lead to the spread of sickness.